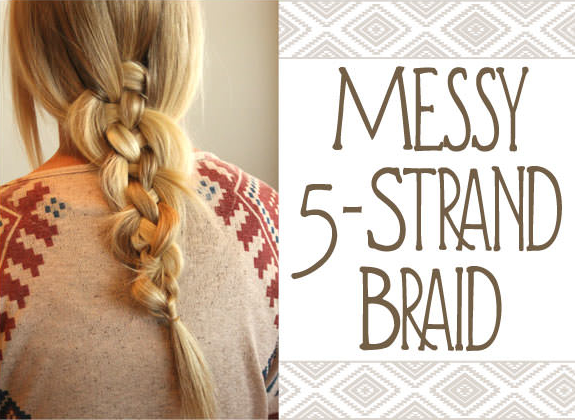 Fashion Maven... Mommy: How To Do a Perfectly Messy Five Strand Braid! 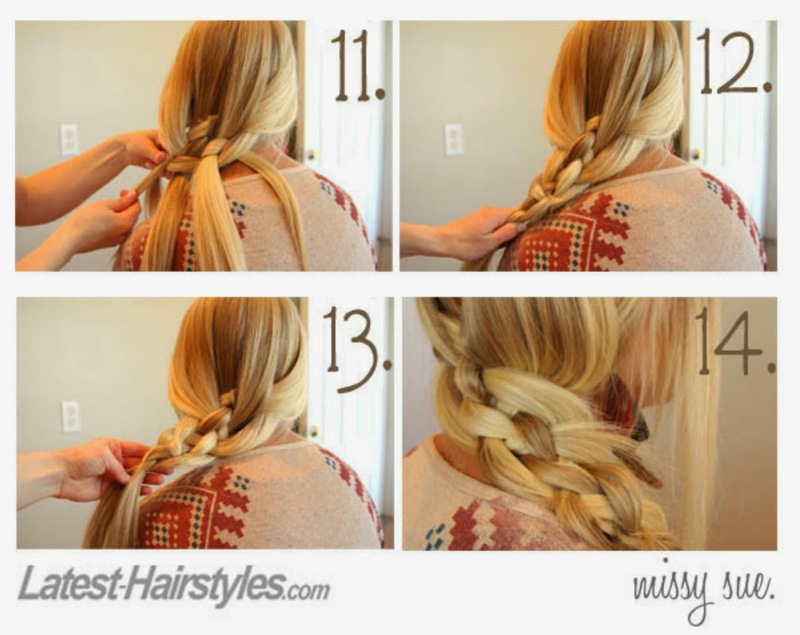 How To Do a Perfectly Messy Five Strand Braid! 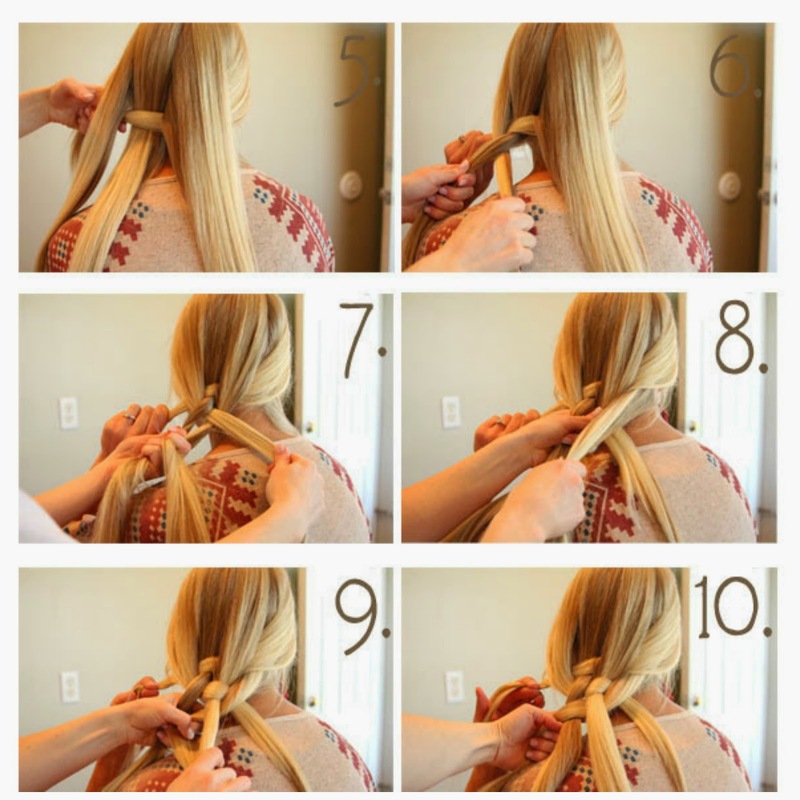 Have you ever seen the 5-strand braid and wanted to learn how to do it? "It’s really just a simple weaving of the hair back and forth in an over under pattern," reveals braid guru Melissa Cook of Latest-Hairstyles.com. 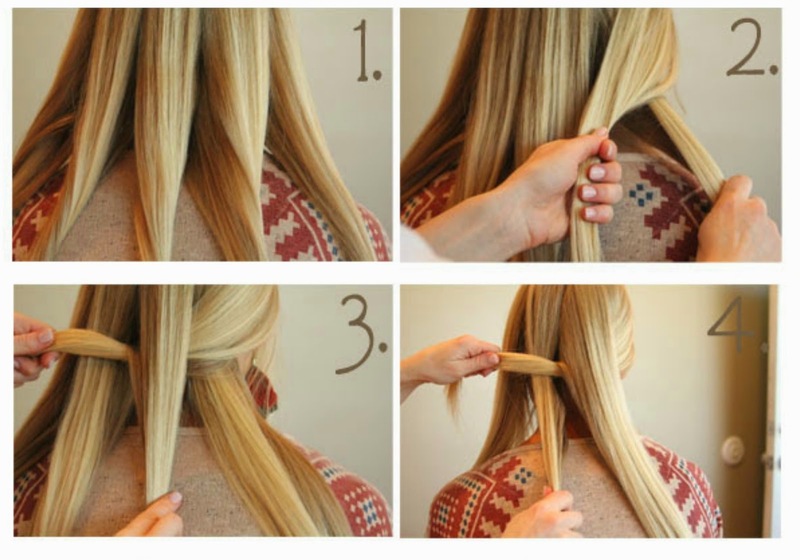 Just follow her simple steps below and you’ll quickly be on your way to learning the cute and intricate 5-strand braid. 1. Begin by separating the hair into five strands. 2. Starting on the right side, take the two farthest strands and cross the right one over the left. 3. Drop the strand in your right hand and cross the one in your left hand under the next strand on the left. 4. Now drop the strand on the right and cross the original strand over the next one on the left. 5. Then drop that right strand and cross the original strand under the next one on the left. See the over, under, over method? Now begin the same steps but working in the opposite direction towards the right side. I’ve asked my model to hold our original strand (which is now the farthest left strand, to keep it out of the way). 6. Holding the furthest left piece out of the way, take the next two strands and cross the strand on the left under the strand on the right. 7. Now cross the strand in your left over over the next strand on the right. 8. Then cross the strand in your left under the farthest right strand. 9. Drop that strand (which is now the furthest strand on the right) and begin working in the opposite direction crossing the right strand under the left one next to it. 10. Then, cross the right strand over the next strand on the left. 11. Now, cross the right strand under the next strand on the left. 12. Continue this weaving, over, under, over, until you get to the bottom of the hair. 13. Secure the end with an elastic. *This post was provided by Latest-Hairstyles. That looks so so good! Thank you for posting this! Wow looks so cool ! Thanks for the tutorial Carla....I'm so inspired to try it! Oh I love it, that's such a beautiful braid and super thick, wonderful hair!